"The Michael H. Goldberg NBCA Coach of the Year Award for the top NBA Coach as voted by his peers is one of the most meaningful in all of pro sports,” said Rick Carlisle in his statement to the press. "Mike Budenholzer in his first year as Head Coach of the Bucks, led the franchise to the top record in the entire NBA. Congratulations to Bud on this prestigious recognition." 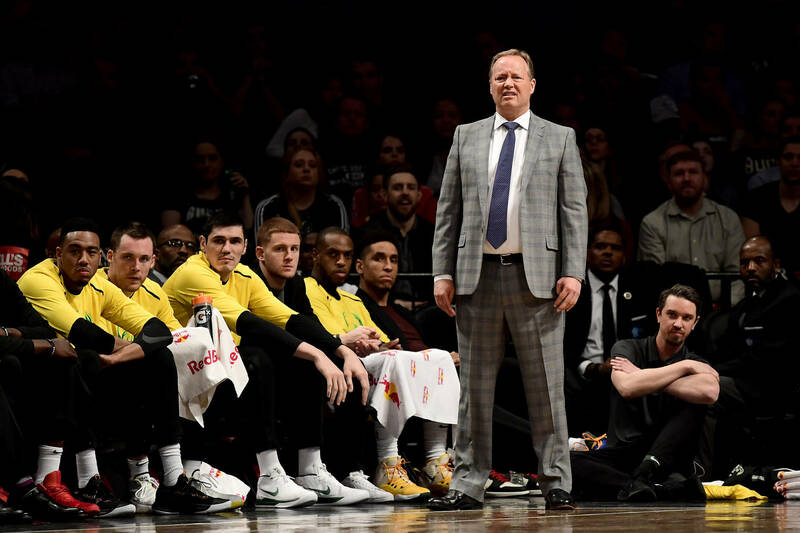 2018-2019 was Budenholzer's first as the head coach of a completely revitalized Milwaukee Bucks that profited from selfless play, the emergence of Giannis Antetokounmpo, and selfless play from the rest of the unit. Kenny Atkinson, Michael Malone, Nate McMillan, Gregg Popovich, Doc Rivers, Quin Snyder, and Terry Stotts were the other coaches to receive votes. Although it would seem logical to vote on such an award from a position of authority and/or knowledge, the NBA doesn't allow head coaches to vote on the Red Auerbach Trophy handed out following the Finals. The league cites "organizational conflicts of interest" as the reason they delineate the ballots to journalists and not coaches. Sound a little farfetched?